 Iran, April 6, 2019 - Members of Resistance Units, a network associated closely to the Iranian opposition group People's Mojahedin Organization of Iran (PMOI/MEK) inside Iran, is providing aid to flood victims in many areas across the country. This is in response to a call by Iranian opposition President Maryam Rajavi, head of the National Council of Resistance of Iran (NCRI) to provide independent aid to flood victims. Flood victims across Iran are continuously complaining about authorities not providing any adequate aid. Members of Resistance Unit 170 in Hamedan, western Iran, distributed leaflets quoting Maryam Rajavi encouraging locals to provide aid to needy flood victims. In Tehran, a resistance unit member put posters of Maryam Rajavi’s message and expressed solidarity with the flood victims. Members of resistance units in Yazd, central Iran, expressed solidarity with the flood victims and voiced support for the Iranian Resistance. Members of resistance units in Anzali, Tabriz, Gorgan, Tehran, Kerman, Qom and Masjid Soleiman expressed their solidarity with flood victims. Resistance units in Tabriz, Tehran and Isfahan resorted to graffiti and wrote, “Death to Khamenei” across the city in reference to the mullahs’ Supreme Leader Ali Khamenei. In Hamedan, resistance units wrote, “Death to Khamenei – Hail to Rajavi,” in reference to Iranian Resistance leader Massoud Rajavi and NCRI President Maryam Rajavi. Members of Resistance Unit 999 in Tehran took to graffiti writing, “We answer fire with fire – Death to Khamenei – Death to (regime President Hassan) Rouhani – Hail to Rajavi” and while setting fire to images of Khamenei.